From the outlandish high energy vibe of their FFRR debut ‘Ride This Train’ to the ethereal ‘Home’ and the nocturnal cinematic scope of ‘October’, ICARUS have proven to be impossible to second guess. In the space of fewer than a dozen tracks, the Bristolian brothers Ian and Tom Griffiths are firmly established as sonic adventurers who can weave rich emotive soundscapes as effectively as they can create exuberant, hook-laden crossover productions. No wonder that Radio 1’s Annie Mac has stated that ICARUS are “fast becoming the masters of emotive dance music”, while Danny Howard affirmed “these boys are on fire.” In addition to Mac and Howard, ICARUS’s eclectic ability has earned further Radio 1 support with multiple plays courtesy of Pete Tong, Monki, Mistajam and Phil Taggart. In the process, they’ve landed three Hottest Records in the World: for ‘Home’ in January 2016, their edit of Arle’s ‘Close To You’ almost a year later, and for their new track ‘King Kong’. If ‘October’ or the emotionally-charged widescreen atmosphere of ‘They Are Not Like You’ was your introduction to ICARUS, ‘King Kong’ might feel like a reinvention. But for ICARUS it’s simply the latest expression in their freewheeling desire to twist beyond expectations, genres and moods. 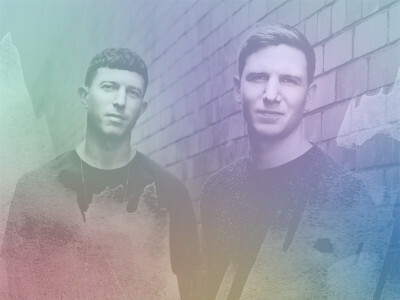 That ability to surprise was particularly in evidence when ICARUS were invited to compile a mini-mix of their influences for Annie Mac. Originally envisaged as an already ambitious mix of fifty tracks, ICARUS discovered so many old favourites that they extended it to a sprawling blend of 100 cuts ranging from those with a natural lineage to the ICARUS sound (Leftfield, LTJ Bukem, Daft Punk and The Chemical Brothers) through to entirely unexpected wildcards (Phil Collins, Metallica, NOFX). Both Ian and Tom played in bands prior to becoming enamoured with production while studying music. Tom’s interests evolved from house and trance to metal and rock, and then onto a broad spectrum of drum ‘n’ bass: Calibre, the discography of Bingo Beats and 31 Records. Ian, meanwhile, was consumed by his older brother’s mixtapes and D&B auteur LTJ Bukem. Those early tastes have evolved with further inspiration sourced from the soundtrack stylings of Hans Zimmer and Cliff Martinez, as well as a retro-futuristic nod to Eighties production sounds. It’s an approach that ensures that ICARUS’s growing discography possesses both the variety and depth to inspire fans to stay fascinated by the prospect of what the duo will deliver next. And it’s a strength that will surely benefit their future too, with plans already taking shape for the release of their most extensive collection of new tracks to date alongside the development of their live show. Asked to pick highlights from their DJ sets to date, both pick a memorable night at the Relentless Stage at the Leeds Festival as a firm favourite. “Halfway through our set there were like 8000 people there, but more just kept coming and coming,” reminisces Tom, “and by the end it was between 12-15000! We didn’t really know what to expect, but there were people going crazy as far as the eye could see.” Other highlights include sets at Fabric, Lovebox, The Warehouse Project and hometown parties at Motion. Already confirmed for the coming months are several huge events: Annie Mac’s Lost & Found Festival in Malta this April, and then Croatia’s infamous Hideout Festival in June before then return to the UK for Creamfields, SW4 and Boardmasters. Throughout their rise to date, ICARUS have also focused on gradually expanding their Fly Boy record label, and the duo are especially enthused about the potential of their artists Mark Mackenzie, a young producer from Inverness, and Lauren L’aimant, who delivered the mesmerising vocal on the ICARUS track ‘Hiding’. “We’ve always tended to pick up relatively unknown artists and help them develop because that’s what we’re really interested in – taking something from grassroots and building something from nothing,” says Ian. With eclectic and highly acclaimed productions, shows which can inspire audiences of thousands, and a label tethered to dance music’s future, the parts in place for ICARUS to continue to take flight.